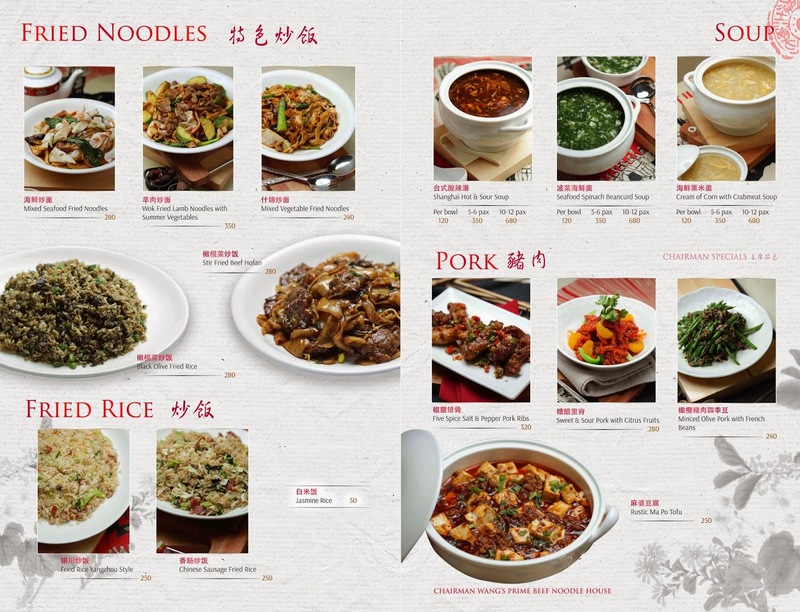 THE PICKIEST EATER IN THE WORLD: CHAIRMAN WANG'S: HAND PULLED NOODLES IN MOLITO! Before Ramen became the rabid food craze it is today, Chinese Noodle Soup was the go-to soup of choice for those looking for a lighter, yet satisfying meal. 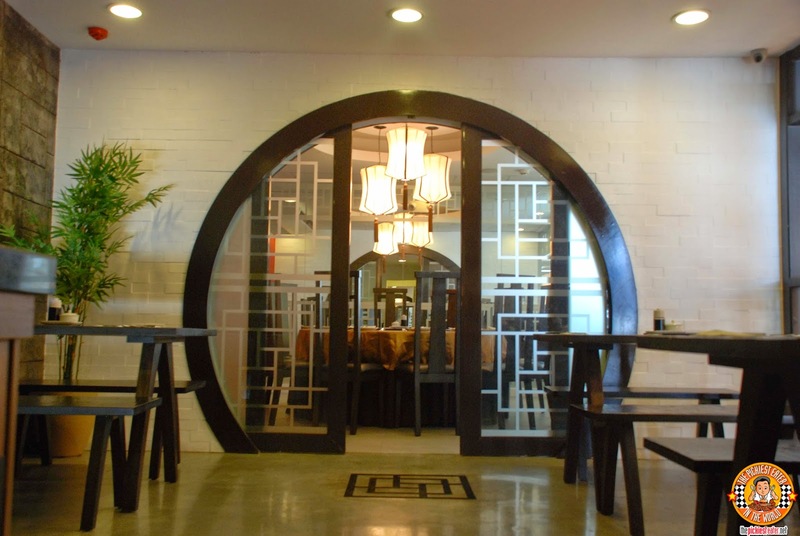 Chairman Wang's is restaurant in Alabang with a goal: Putting the pride back into noodle soups & reaffirming its place as one of the most popular comfort food(s?) of choice! 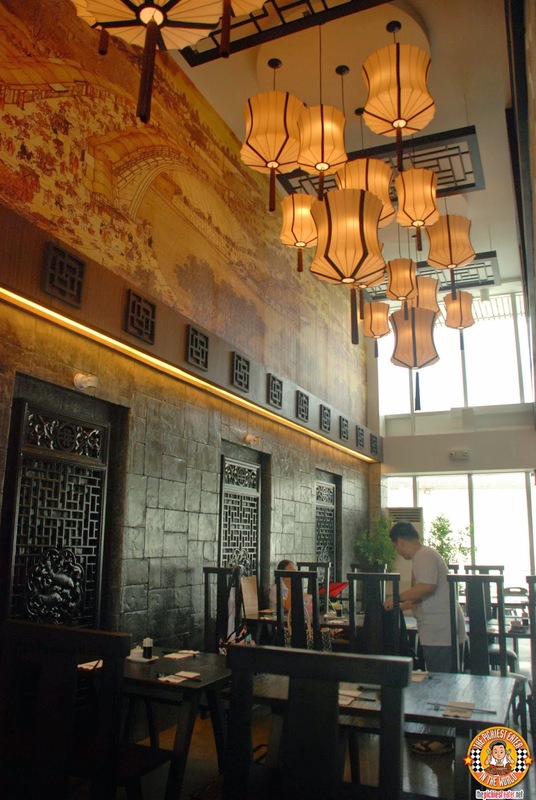 Perhaps among any of the (Many) Chinese restaurants I've been to, nothing captures the look of an ancient China as effectively as Chairman Wang's. From the stone walls to the oriental decor, the atmosphere sets the stage perfectly for what you should expect to be a phenomenal meal. 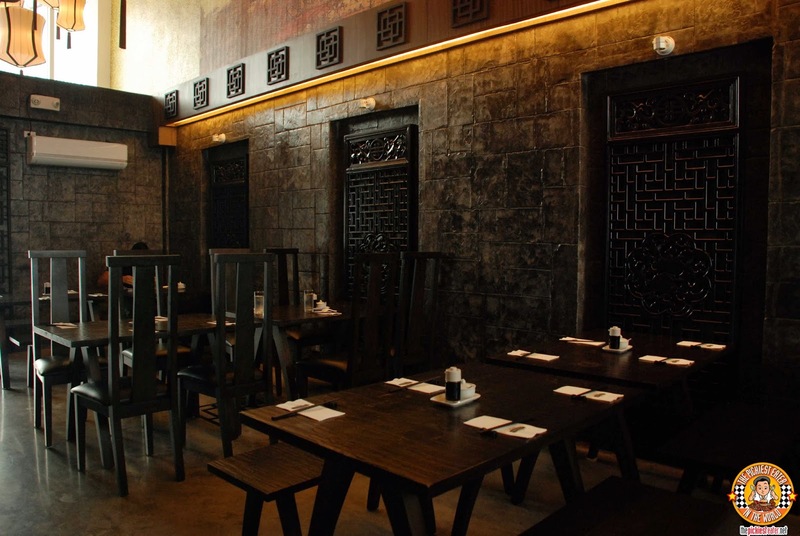 Chairman Wang's also has a second floor to accomodate more diners, including a small function room that may be closed off for private dining. 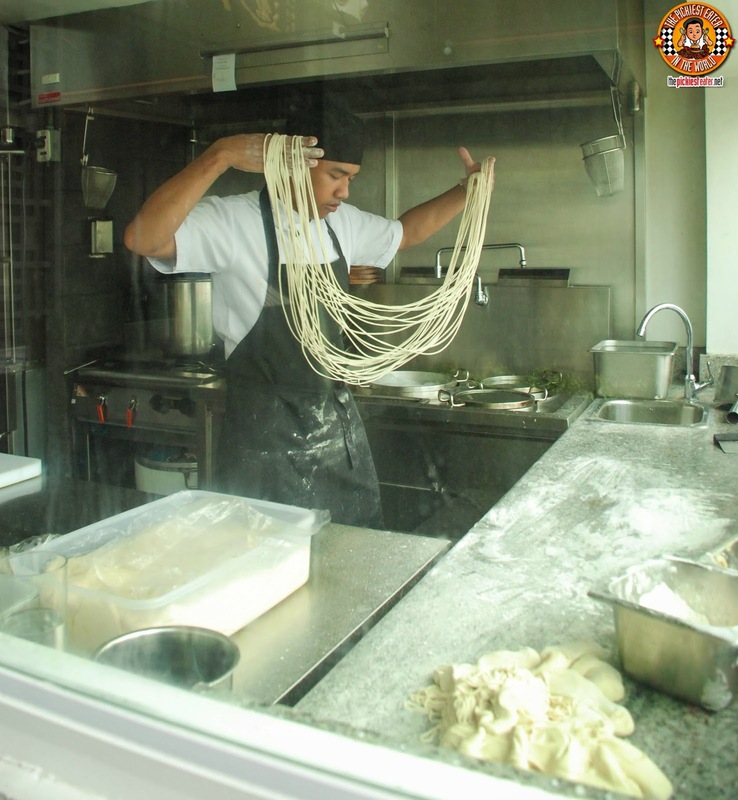 Something that Chairman Wang's takes pride in, is how they make their hand pulled noodles. 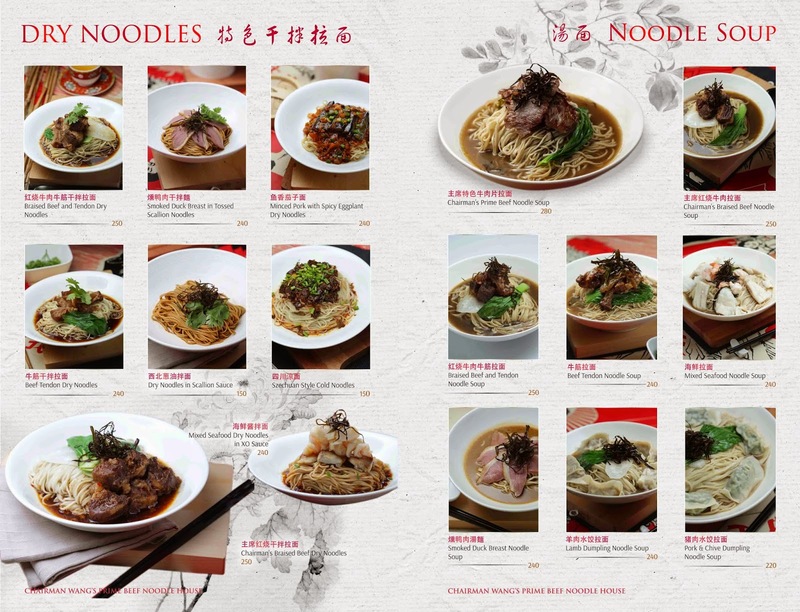 The moment I discovered that Chairman Wang's was brought to us by the same people that created "Kanzhu", I knew that we were looking at a whole new level of noodle soup. 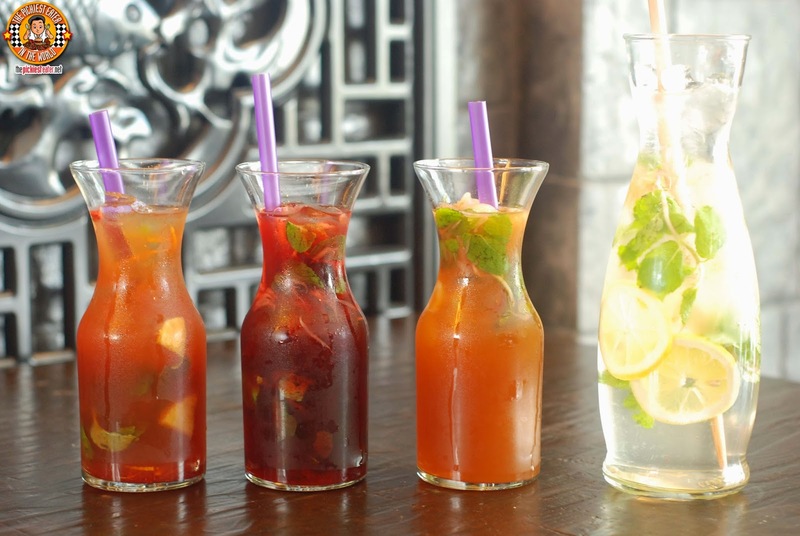 As soon as we arrived, we were offered some refreshments in the form of Chairman Wang's Fruit Tea Sangria (P120), China Blossom (P120), Shanghai Lily (P120), Lemon Ginger Ale (P95 per glass / P180 per carafe). 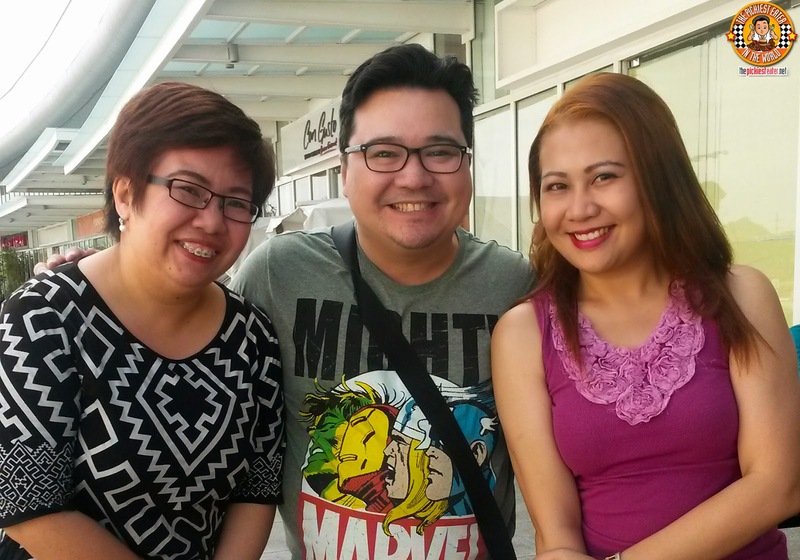 All of them were quite refreshing, especially under the intense Philippine heat! 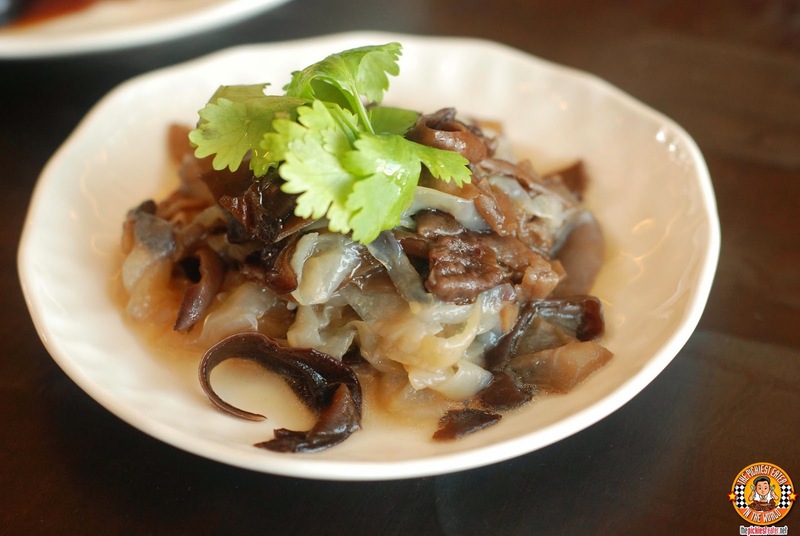 The first dish being the Black Fungus and Jellyfish Salad (P120). Come on, you can't expect me to be called "The Pickiest Eater", and eat a dish that has both "Fungus" and "Jellyfish" in its name, right? 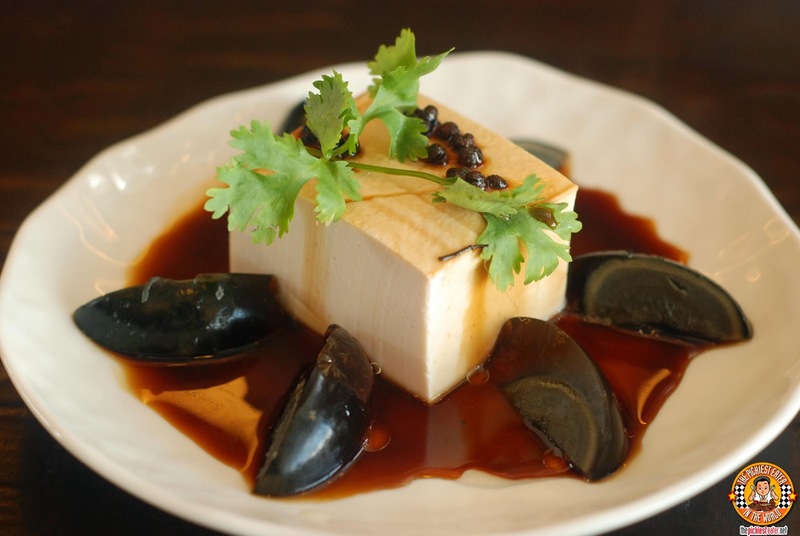 And the second was the Chilled Tofu Block with Century Egg (P150). Rina loves Century egg, and was raving about this! I could have finished the entire of Pork & Chives Dumplings (steamed or fried, P180) if I wanted to, but that wouldn't have been polite to the other bloggers with me (I'm starting to think that sometimes manners are overrated.. grr). 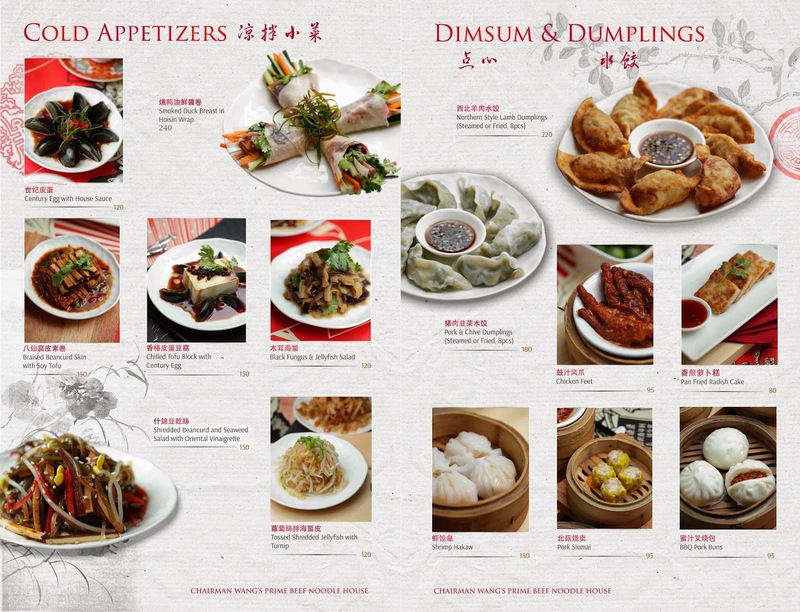 The dumpling was packed with flavorful meat, and paired nicely with the light dipping sauce. 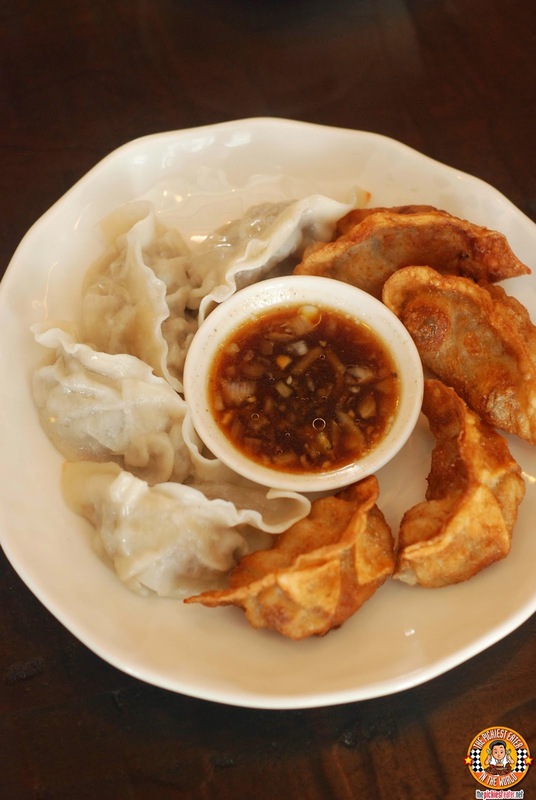 You can't go wrong with either having it steamed or Fried, but i'm more particular to the Fried (surprise, surprise) because of the light crunch it gives the dumpling with every bite! So it was time to see what Chairman Wang's Noodle Soups had to offer..
My friend Irene, known as the Cheesecake Queen (Best Quezo De Bola Cheesecake in the history of the universe) doesn't eat beef (and we're still friends, can you believe that? 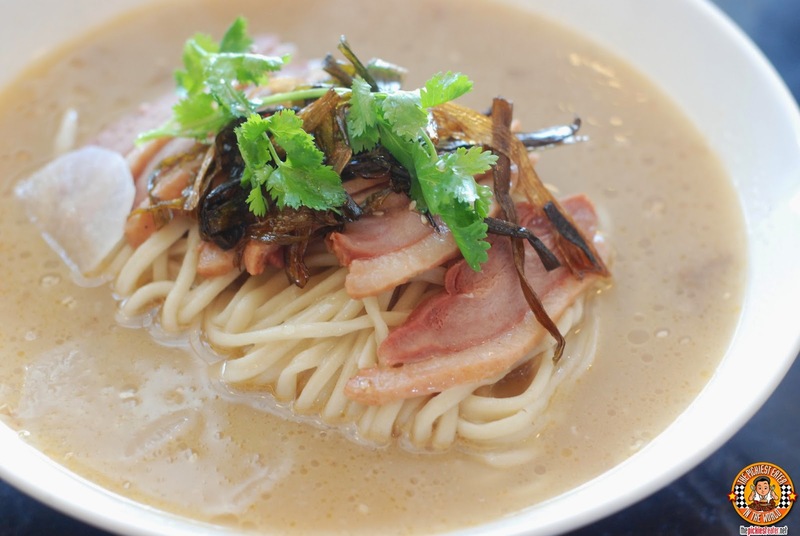 ), so she opted for the Smoked Duck Breast Noodle Soup (P240) instead. The hand pulled noodles were nice and firm, while the duck was smoked exquisitely, with the flavor swirling in your mouth and gently infusing the broth, giving it an extra punch. The duck meat was soft and the thick lining of fatty skin really won me over. 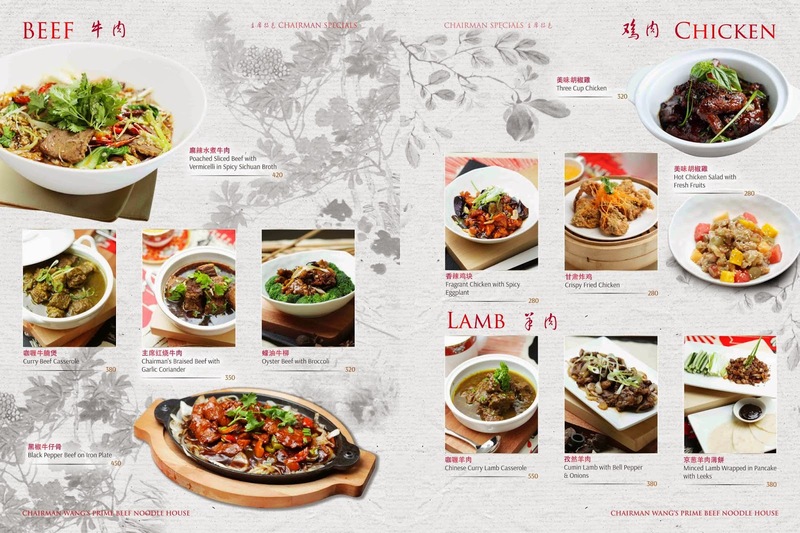 I was ecstatic to try Chairman's Prime Beef Noodle Soup (P280), which is the restaurant's signature dish. 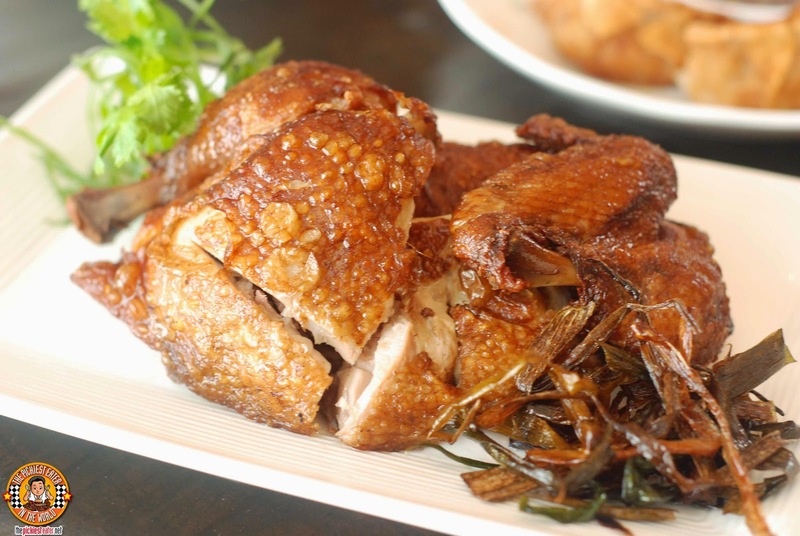 The broth was similar to that of the Duck, however it made me appreciate the potent smokiness of the duck even more, because the flavor of this was much more mild in comparison. Rina, who is notorious for her love for all things salty, felt that the beef lacked the punch she was looking for flavor-wise, however, a few dashes of Soy Sauce seemed to placate her. I was fine with it, as I was too focused on how remarkably tender the slices of beef were. Coach Jana, (Aka Princess Jana because she is the daughter of the Queen), recommended that I try the Beef with Dry noodles next time.. And I definitely will! The Crispy Chicken with Chairman's Pepper Gravy (P350) is nothing short of amazing. It was deep fried to golden perfection, with the skin letting out a gorgeous crunch as you dig your teeth into it. When mixed with Chairman's Pepper Gravy, the chicken rises to yet another level of awesomeness. Definitely a dish you must try when you visit Chairman Wang's. Chairman Wang's Curry Lamb Casserole (P550) was another hit for me. 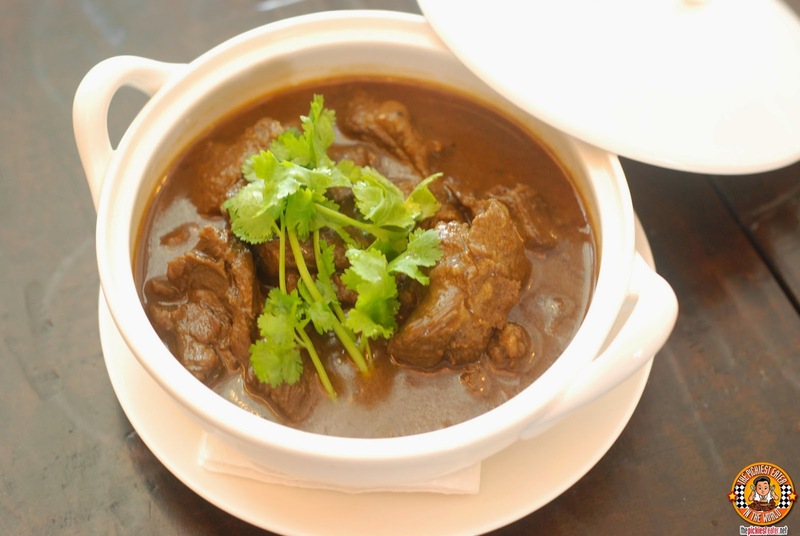 The cuts of lamb were extremely tender, and it was stewed in a fragrant curry, that had touches of sweetness and heat, to make a great sauce for the gaminess of the meat. As you can imagine, the curry sauce was perfect with rice. Another dish that I really enjoyed was the Black Pepper on Iron Plate (P450). 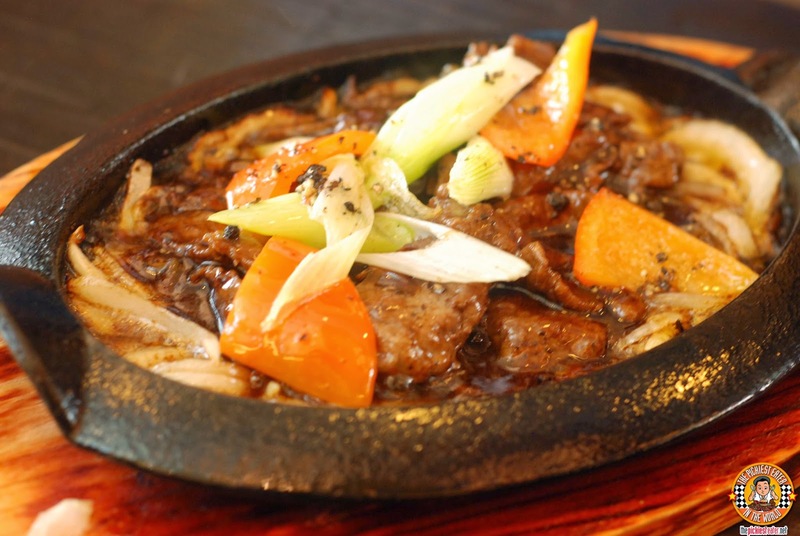 The black pepper gave the beef a more pronounced, meaty flavor, and the medley of vegetables bathed in the sauce (especially the onions), were the perfect compliment to the beef. The entrees are best enjoyed with your choice of Fried Rice. 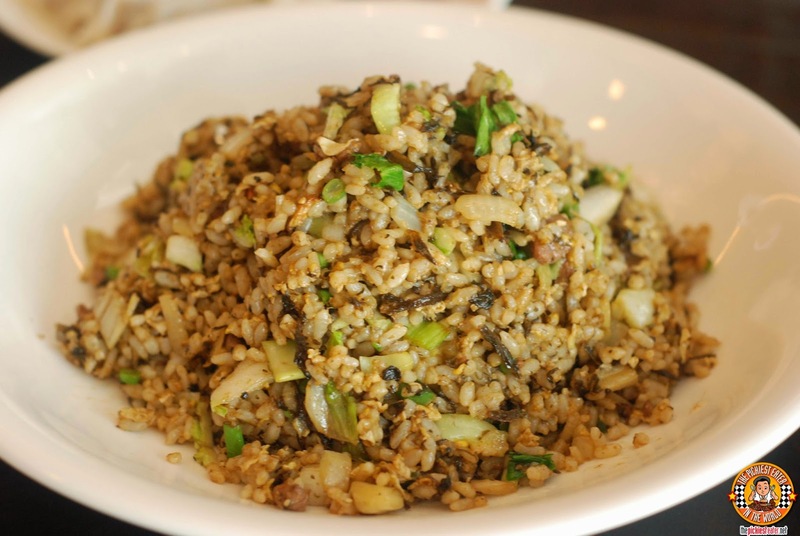 CHairman Wang's gave us two to try, starting with the Black Olive Fried Rice (P280). This was fried rice unlike any other that I ever had before. It had a fragrance to it that was rather tasty, and paired well with the entrees. As good as that was, it was the Chinese Sausage Fried Rice (P250) that I took to more. 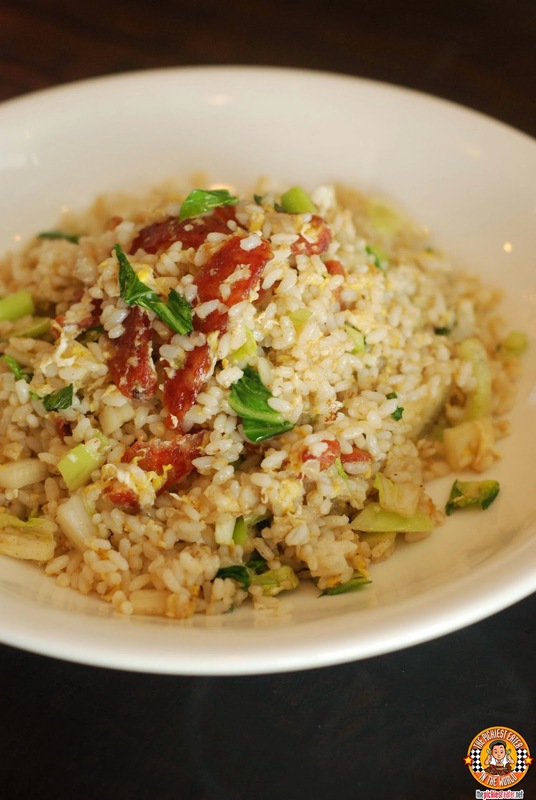 Plump slices of Chinese Sausage peppered around the pile of soft, Chinese fried rice. I would eat this solo if I could, but I would be missing out on some amazing entrees hehe. 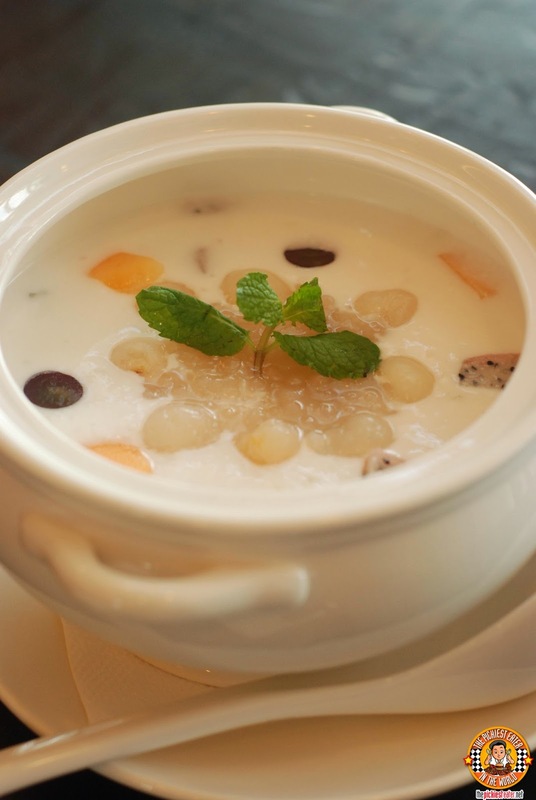 We ended our exquisite meal with Chairman Wang's Chilled Coconut Milk Soup with Sago and Fresh Fruits (P95 per bowl / P350 for 5-6 pax / P650 for 10-12). I was surprised with how much I enjoyed this. It had a nice creaminess, mixed with just the right sweetness that was further brought to life by the infusion of fresh fruits. Word of Advice.. Make sure you ask for it in advance and tell them to serve it really cold. 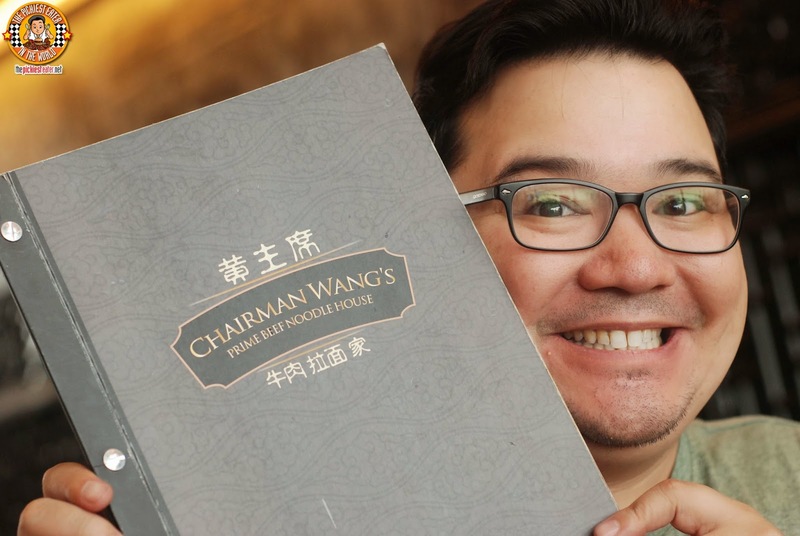 Though they are essentially a Noodle House, I assure you that Chairman Wang's is so much more than that. 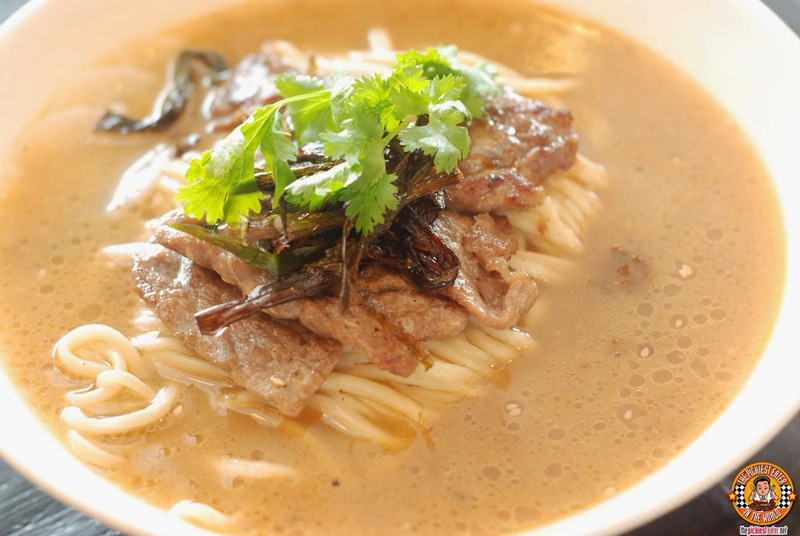 Both noodles dishes and their excellently executed entrees deserve equal attention. Definitely a must visit spot when you're down in the South! Thank you Alyz and Blush for their kind hospitality! 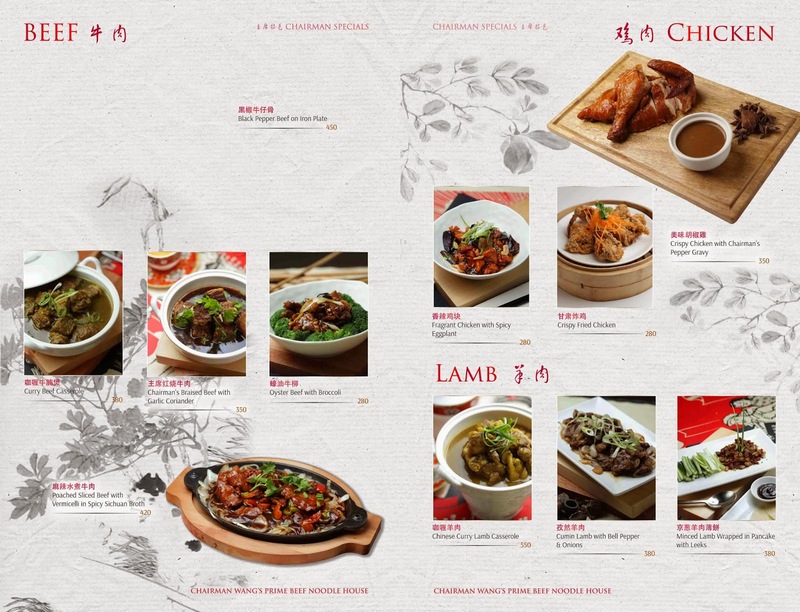 I'm looking forward to trying more of dishes from Chairman Wang's in the very near future!